AWH of Tampa would like to give a huge thanks to Alberto Perez. Alberto, along with a few other Gators founded the student organization chapter of Gator Advocates for World Health (GAWH) with the intention to “Recover, Redistribute, Save Lives.” Check out our blog to learn more about Alberto and his work with GAWH! 1) What made you get interested in AWH? I think both my background and undergraduate experience contributed to my interest in joining such a rewarding cause. I was exposed to health disparities at an early age. Growing up in Venezuela, I remember walking through the hospital hallways as I waited for my grandmother to get out of the triage room, and seeing the empty pharmacy shelves across the halls, the hospital’s wheelchairs made from reused plastic chairs, and the nurses complaining about the frequent power outages. I thought that things would be different and better when I first moved to the United States. However, my volunteering experiences at various underserved free clinics, such as the Equal Access Clinic Network at the University of Florida, showed otherwise. It made it quite clear to me that even in developed countries healthcare disparities persist. Today, countries like Venezuela lack many of life’s basic necessities like safe drinking water, adequate sanitation services and, of course, over-the-counter products needed to fight against the most common curable illnesses. That’s why I was immediately drawn to the AWH’s message because I wanted to make a difference in regards to this matter. AWH gave me the chance to promote healthcare equality and educate people about the inaccessibility of healthcare both in the United States and abroad. It is the same reasons why I am still collaborating with the chapter even after leaving office this past year. 2) How has AWH shaped you? GAWH has been a huge part of me the last three years. I never imagined that my actions and the leadership skills I developed in GAWH would one day inspire others to find their way forward and inspire others to do the same. The organization allowed me to get out of my comfort zone and pursue goals and aspirations of a different caliber. It also helped me develop great communication skills as I tried to make sure that the AWH model was transmitted as clear as possible. I also became more knowledgeable about behaviors and skills necessary to communicate with culturally diverse patients and other individuals. At the end of my tenure, I looked back at where the chapter started and felt a sense of accomplishment. It was during my time in GAWH that I realized that I am at my best when I lose myself in the service of others. As a result, I became more appreciative for even the littlest things one has in life. 3) What have you learned from AWH? GAWH taught me how to effectively advocate for better practices in the medical community and promote environmental stewardship both in the United States and abroad. Looking back at the pallets of medical products we collected and knowing that my efforts were helping orphanages and needy communities in Central America was empowering. All the activities we have done within the organization also taught me how I could invest myself in the wellbeing of others who are less privileged, all while continuing to support my passion for medicine and service. I also became more aware of the millions and millions of unused medical products that end up in landfills, incinerators, or hospitals’ warehouses and how one individual can do something about it. 4) From your UF chapter what other individuals have really played a huge role in the development of AWH as well? I am very thankful to have had the opportunity to work with a magnificent group of young men and women in GAWH. Nicole Tran served as the chapter’s humanitarian trip coordinator and events director for two years. 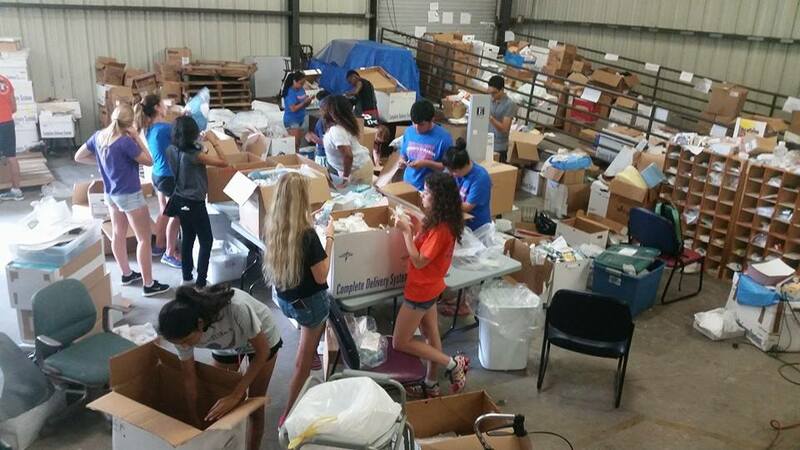 Her efforts in planning these trips gave students a better understanding of the full humanitarian impact that AWH makes, from the moment donated medical products are sorted out to the time these products are redistributed to hospitals and orphanages in underprivileged communities. Another person I would like to acknowledge is my right-hand man at the time, Cristina Armbruster. Cristina has hold various positions within the chapter, including volunteer coordinator, vice president, and now serves as the president of GAWH for the 2014-15 academic year. Whenever I needed help in furthering our chapter, Cristina was always there to provide insightful contributions and always went above and beyond the call of duty. I would also like to recognize Payal Patel, who served as my fundraising director and dramatically expanded the chapter’s fundraising efforts. Lastly, Denise McIntyre (secretary), Jose Jacas (former volunteer coordinator and current materials manager), and Dylan Ong (former marketing director) have also made huge contributions to the chapter’s success. Their perseverance and work ethic stood out to me during our time working together. If it wasn’t for these three individuals’ resourcefulness, our club and AWH’s message would have never reached out to so many people in and outside of the University of Florida community. 5) What else can you tell me about some challenged you faced? I guess I would like to share the rebirth story of GAWH, the struggles that we encountered along the way, and how my officers and I managed to remain optimistic, even in the face of adversity. 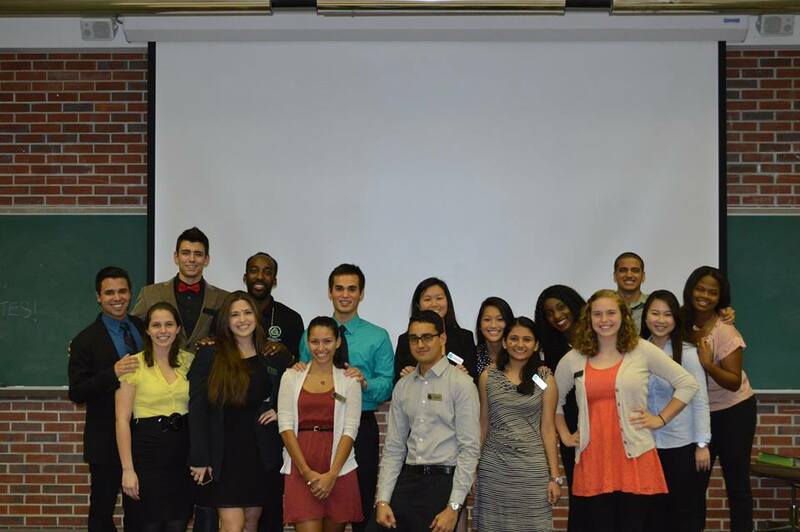 In April 2012, I and 13 other undergraduate students founded the student organization chapter of Gator Advocates for World Health (GAWH) with the intention to assist and support our parent organization with their mission embodied by the phrase “Recover, Redistribute, Save Lives.” I started as the Fundraising Director and was in charge of organizing robust fundraising strategies for the organization. Even though we met our fundraising goals, we struggled our first year to meet recruitment goals and to spread the word about advocacy and environmental stewardship; our chapter was placed on probation the end of our first year due to the lack of membership retention. The following year, I had the privilege of being elected as president. On weekly basis, the officers and I met to discuss the appropriate steps to take our club to new and exciting heights. Many of the officers were still disappointed with the club’s overall performance the year before. I felt the pressure but understood that now, more than ever, my fellow officers were in need of my guidance. Eventually all of our hard work paid off. We improved marketing and membership retention efforts. Through teamwork, we saw a staggering 70% increase in fundraising, collected over 9,000 pounds of medical supplies, and for the first time, filled the classroom in which we held our meetings, increasing member participation and attendance by 400%. Because of our efforts we where able to establish a second processing center in Gainesville and be the first chapter (outside of the Tampa area) to do so. As an aspiring physician, I will take the lessons I learned in GAWH with me as I seek to encourage patients to persevere through challenging illnesses. I would also like people to know that it is never too late to join such an enriching experience in helping those who are less fortunate. It is our meetings, sorting-out medical products volunteer sessions, and other philanthropic activities that allows our members to connect on a smaller scale and expand their leadership skills and experience. In AWH/GAWH, you will see the results of your actions and will always feel like you are making a tangible difference.